Summer is just a few months away, and many of the major summer music festivals are in the process of announcing their 2019 lineups. 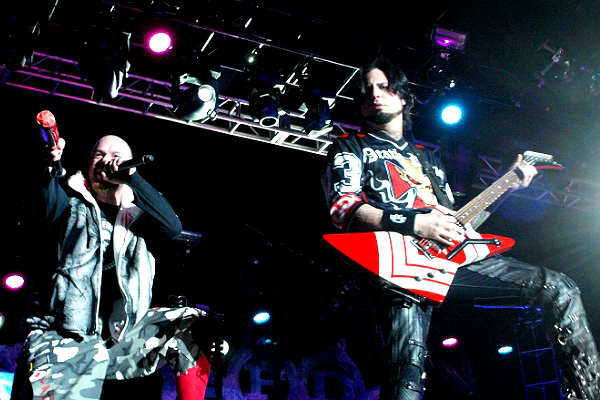 Wisconsin’s annual Rock USA is known for featuring a mix of hard rock and modern metal bands, and this year is no exception, as the festival has announced its 2019 bill will feature the heavy sounds of Five Finger Death Punch, Disturbed, Rob Zombie and many more. Other artists and bands confirmed for the 2019 edition of Rock USA are Mastodon, Marilyn Manson, Mastodon, Breaking Benjamin, Three Days Grace, In This Moment, Killswitch Engage, Asking Alexandria, Clutch, Theory, I Prevail, Of Mice & Men, Atreyu, Between the Buried and Me, Dance Gavin Dance, Starset, Bad Wolves and Lacuna Coil, among a slew of other groups. The three day festival is set to run July 18 through July 20 at Ford Festival Park in Oshkosh, Wisconsin. That’s a unique schedule for a three-day festival, as it’s a Thursday through Saturday run instead of the usual Friday through Sunday time frame. For the full Rock USA lineup and daily talent lineups, visit the festival’s official website at Rockusaoshkosh.com. Tickets, camping passes and VIP packages will go on sale to the general public beginning at 4 p.m. CT on Wednesday, Jan. 23, via the festival’s official website. Early check-in camp packages and VIP tickets are also available.